Whilst Southampton debates whether to add fluoride to our drinking water supply, it is interesting to note votes in the USA on the subject, which were somewhat overshadowed by the Presidential election. 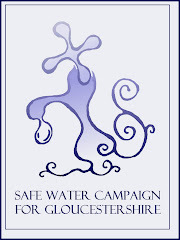 53 communities, with a combined population of 244,438, rejected adding fluoride to their public drinking water in the November 4, 2008, election referenda. This comes on top of the rejection of water fluoridation earlier this year by Quebec, a city that had been fluoridated for thirty years. Meanwhile countries that have fluoridated at 1 part per million (the level proposed for Southampton) have been pulling back from that level, saying that it is too high. Canada and Ireland have both reduced the level where they fluoridate to 0.7 ppm, and Hong Kong now says 0.5 ppm is a safer level. 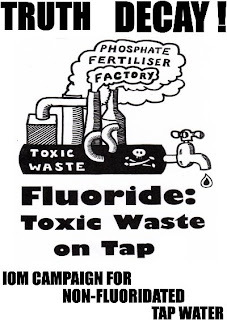 As Professor Paul Connett said: “Once again we have seen confirmed - from Maine to Nebraska - that when and where citizens are given free choice on this matter and they organize, the overwhelming majority of towns reject fluoridation. On November 4, in an historic presidential election year, 79% of communities with referenda voted to keep fluoride out of their water.